The Current Limiting KLH fuse has been introduced as a direct replacement to the now obsolete KED design of GE. 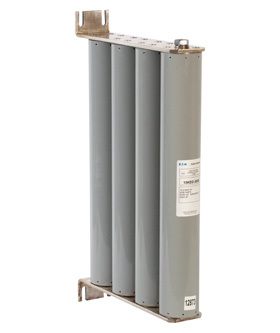 Eaton’s design is offered as a 300E fuse in a bolt in configuration of four barrels. No need to retrofit your old switchgear. This product has the same footprint as the old design.